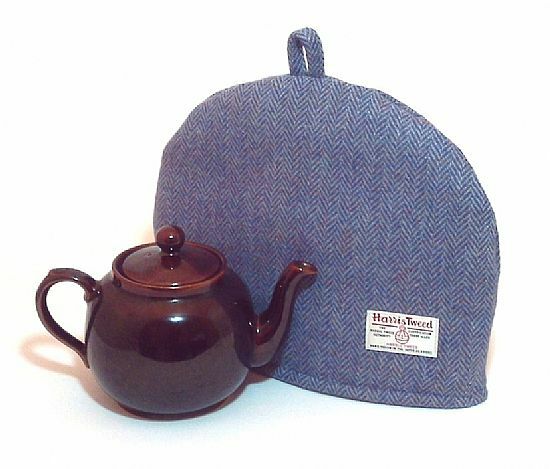 Harris Tweed tea cosy, teapot cover blue herringbone fabric tea cozy. 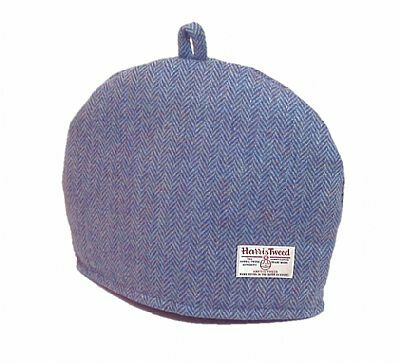 This beautiful quality cosy has been handmade from the world renowned Harris Tweed handwoven fabric in a beautiful blue herringbone weave. 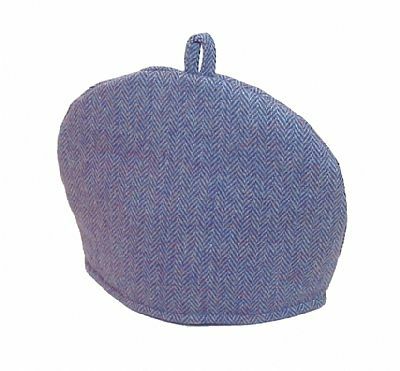 It is made up of pale blue, a darker denim blue, and some heathery tones in there too.